New York Review Comics has quietly become one of my favorite comics publishers over the last two years. At the end of 2018, they published a slim volume of comics by Edmond Baudoin titled Piero. 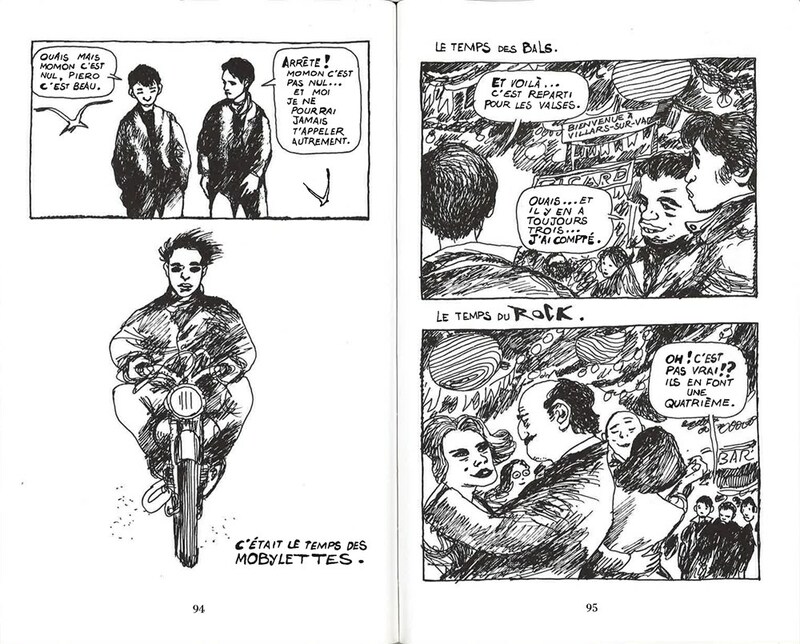 Baudoin is celebrated as a master cartoonist in Europe, but this book is one of the first of his comics published in English, translated by cartoonist Matt Madden. 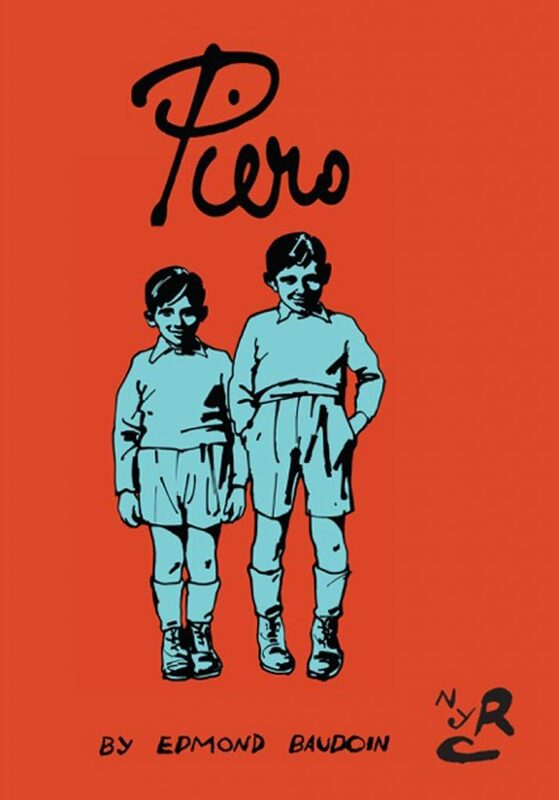 Piero was originally published in 1998, and is a memoir of Baudoin’s childhood relationship with his younger brother Pierre. As children, they were isolated from other kids because of his brother’s poor health, but made up for that lack of community by becoming extremely close. Piero is Baudoin revisiting the memories of his youth, examining the relationship he had with his brother, and the love they both had of drawing. What’s remarkable about Piero is how these memories, and Baudoin’s illustration of them, ultimately puts into context his current relationship with art. With the first turn of the page, there is something clearly remarkable about the way Baudoin draws. What seems remarkable is that this book is unlike most of Baudoin’s work, which is all done in brushes. The first few opening images are sparse in words, and almost all of the work in Piero is done in a scratchy pen drawing style. But Baudoin is clearly a master of his craft – these images are beautiful, remarkably whole. In points of the book, Baudoin’s art feels like something living and breathing. I was transfixed by the way these pen drawings so remarkably capture emotion and movement. To call these comics anything other than gorgeous would be evidence of poor judgement. The sparseness of the drawing and language has a strongly nostalgic bent; this book is, of course, the a story of a man in his middle age reconstructing images of his childhood. You can see the nostalgia at multiple points throughout the book. At times the pen drawings Edmond and Pierre make as children seem reminiscent of the same kind of doodles I drew in the margins of my homework when I was young. There’s also something hidden in this book, a sense of time moving too quickly – early in the book, Baudoin luxuriates in a specific scene, where he and Pierre play in fall leaves. “Today the leaves falling from the plane trees are the gray of a sad sky.” he says. “It seems to me that they used to be much more colorful.” This remembrance uses up pages and pages; later on, Pierre’s recovery from a car accident which severely damaged his legs takes a single panel. Time quickens as we age, and Baudoin is acutely aware of that fact in Piero. This specific scene is evidence of the language of poetry creeping into the pages of this book, and I think that Piero has a penchant for that kind of phrasing more than other memoir. There’s an intentionality that is striking in this introduction to Piero. It sets a tone for what is to come. In that beginning everything is deliberate and slow. 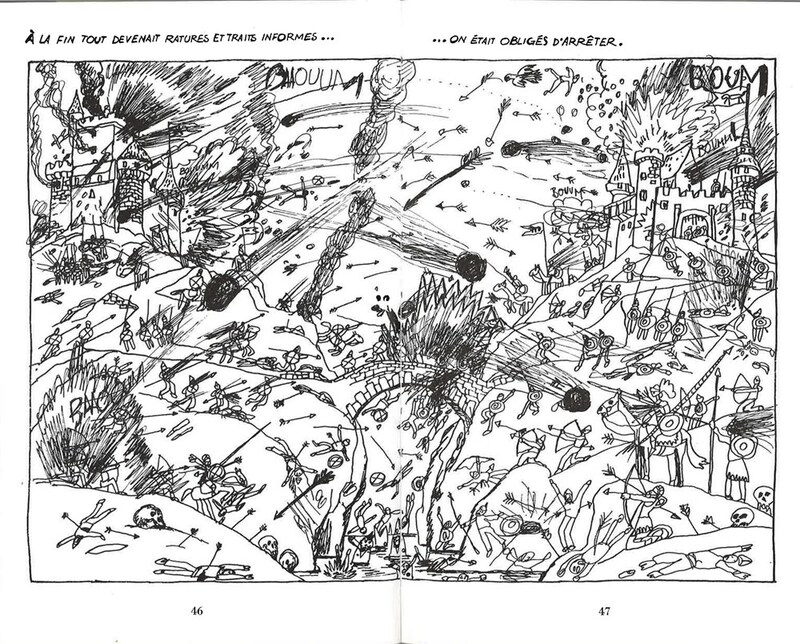 Likewise, we see pages upon pages of Pierre and Edmond drawing on large sheets of paper, illustrating and doodling. Copying photographs using pen and paper, drawing maps and actors for pocket money. Much of Piero is about the joy that both brothers found in making art. But that joy is hard won. When Pierre leaves for art school near the end of the book, it is understood by both brothers that Edmond would have to take a “proper profession.” He goes on to join the military and then become an accountant. Only later in life will he take up the pen again, after Pierre has abandoned a career in the arts. There’s a sense that Baudoin is trying to capture something fleeting through Piero. Instead of a strongly narrative work, Piero is choppy, pulling fragments of memories and times together so that more often than not, the comic seems to evoke a sense of truth telling without “telling the truth.” When Baudoin wrote Piero, he was 56 years old. He didn’t begin creating comics until he was in his 40s. But at that age, there’s a sort of unspoken fear that lingers in the back of the mind; that you may have already forgotten more memories than you will ever make again. As I read Piero, I found myself thinking about the nature of memory and of time, and that idle thought played through my entire reading of the book. 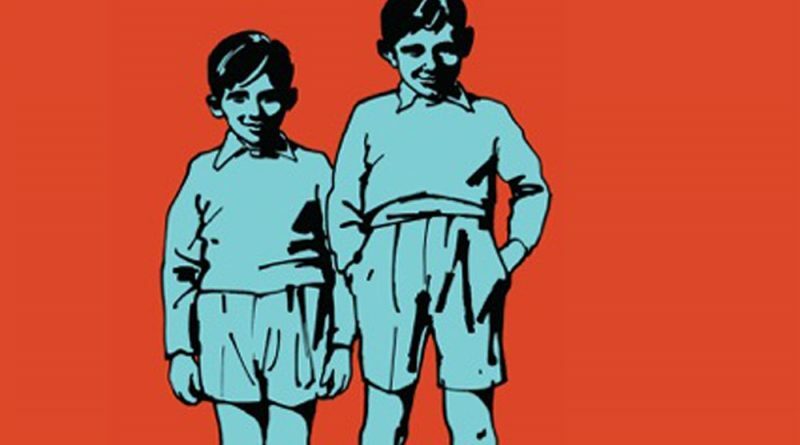 As much as there is an implied sadness in Piero, the book is simultaneously joyful. 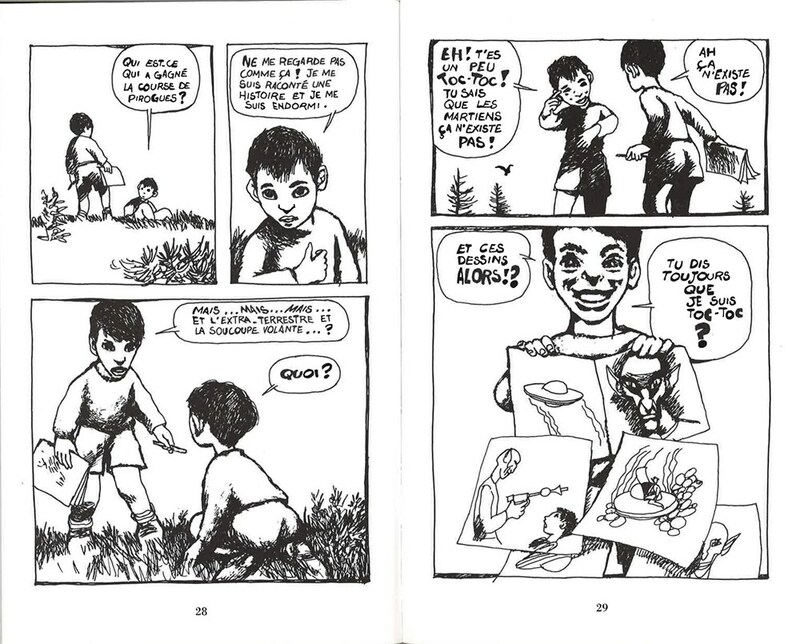 Much of the comic is the development of a relationship between two young people through play; drawing, imagining, and creating a world they can both thrive in, despite their challenges. And in Baudoin’s two young boys, who grow into young men, we see the treasure of close relationships, of fraternity, and most importantly, of love. Piero is a love letter, both to Baudoin’s brother, and to artmaking. It is an intimate vision of his childhood, and an introduction to the artist he would become.